DS-500X8000-HS 5,840# High Speed 1/2 in. 368.3 mm 8 1/2 in. Need to put this block on an already rigged line? Simply remove the 3/8" socket head screws (screws have a 5/16" internal hex) that hold the pully together and reassemble on the line. 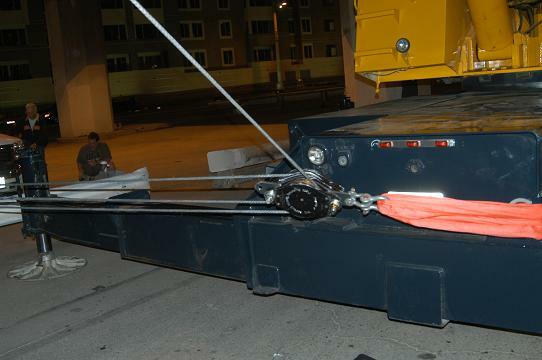 Our largest sheave has a working load limit of 5,840 lbs. Pulley is made on our CNC lathe out of aluminum billet. 8in. pulley O.D. Cheeks are 6061T6 aluminum, black anodized. The pulley turns on a large sealed double row high speed ball bearing. Some serious machining here: the cheeks start out as a 9.1 lb billet; after machining they are 3.7 lbs. Ideal for heavy high speed rigging. 1/2" Diamond sheaves rigged with 1/2" Amsteel Blue to fling a BMW with a ratchet. This is the pulley for the sheave. 1/2" groove by 8 " OD. 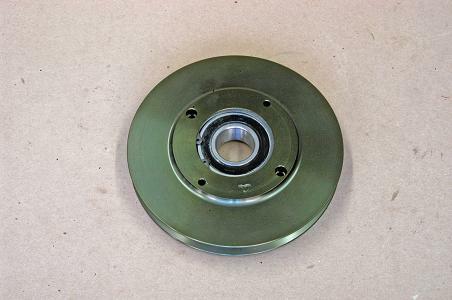 Truly a heavy duty pulley. Observe the size of the double row, double sealed ball bearing. We turn the pulleys out of 6061T6 aluminum bar stock sawed billets. 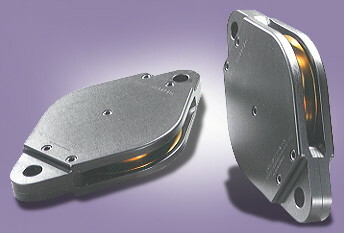 The High Speed bearings are a light press fit , also retained by snap rings.